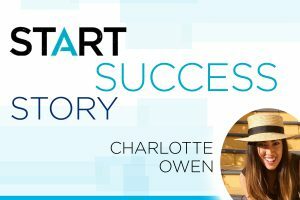 Charlotte Owen recently became a START 1000 leader while growing her business in Australia. We reached out to Charlotte and asked her to share her story and how she created a successful business. I ordered my very first pak in December 2013. I was completing my final year of psychology as an honors student and was putting in 12-hour days at the library. I had no time to see friends or relax and I was always so tired from pulling all-nighters at the library. One night, while I was supposed to be studying, I came across a Facebook video by Peta Kelly. I had no idea who she was, but I was curious. I contacted Peta, and she helped me place my first order – and the rest is history! From day one, it has been the START Your Life movement that grabbed my attention. How do you find success? I find my greatest success when I dig deep into the “whys” of the people I work with. It may be the psychologist in me, but I truly love being able to understand people’s pain points and helping them find a solution to get out of that pain. I’ve been able to connect with team members, which helps them understand that they are more than a transaction; they are people who I am invested in long term. Seeing them achieve their physical goals or get paid when they’ve been struggling financially is just the best feeling ever, but it probably wouldn’t mean as much if I hadn’t spent the time figuring out what motivates them. One of the most rewarding aspects of network marketing has been building meaningful relationships with team members and watching their lives change for the better. Before I even mention Isagenix, I take the time to talk to people, see how they are doing, and ask about what is going on in their lives. People are so busy, and it’s not often someone stops just to check in and see how you are doing. Showing interest in someone and their life is so important because it lays the foundation of trust. It generally doesn’t take long for someone to start talking about a pain point, whether it’s a job they hate going to or wishing they felt better in their bodies. Once someone mentions their pain points, I ask them to elaborate. I spend time here in their discomfort . In my counselling work, I’ve become accustomed to talking to people about their pain points, but what I’ve noticed in my network marketing work is that everyone just wants to be heard. If you give them the time and show a genuine interest, they are more likely to let you in. I ask people to visualize how they would feel if they could achieve their goals. I ask them how it would feel to be relieved from some of their financial stress or to be living in their most vibrant, healthy body. I try to make them feel how it would be if their goal was already achieved. I always love seeing people light up at the possibility of reaching their dreams. We don’t talk about our dreams enough, but in network marketing we get to change that. I then ask the person what it would feel like if they didn’t achieve that goal. In psychology, we call this motivational interviewing. Sometimes, the feeling of staying stuck in the same position is the most powerful motivator. Nobody wants to stay stuck feeling sluggish and nobody wants to live in financial stress. That’s where I bring up Isagenix and how the products and opportunity can fit their goals. Once I’ve spent time talking to someone about their goals on this level, I become as invested as they are. To me, this is the difference between making a transaction and creating a team. Never giving up! My team exploded when I first joined Isagenix. I quickly reached 2-Star Crystal Executive and had personally enrolled my good friends who also hit 2-star Crystal Executive shortly after. * I had teams flying to San Diego for Celebration and running their own wellness Wednesdays. Every single one of them dropped off. So much doubt filled my mind and I thought about quitting. I dropped back down to Associate and kept using the products every single day, but I stopped sharing. However, the fire in my belly never, ever, ever left. The START movement still lit me up and I KNEW I needed it, so I got myself to events. I flew to Celebration in Brisbane with ONE team member. I didn’t care! I knew I needed to be there, and I knew people would be watching from the sidelines. I knew that Isagenix could be a vehicle for me to transform my life and the lives of those around me so I have never, ever given up. Don’t ever give up on your dreams! There will always be ups and downs in your network marketing business, but hold tight to your vision and just keep going. How does it feel to be a part of the START community? There is nothing else on the planet like the START community. Where else can you find such a bunch of vibrant, smart, fun, switched-on young people who care about making a positive impact? I became a member of the START community as a burnt-out university student. I was an honors student with two degrees under my belt, and even after being at the top of my class, I was offered an internship for two years that was unpaid. That was crazy to me! So many young people can relate to this. But the START community offers us a different perspective. We don’t have to wait until we are in our 60s to go on the holiday or contribute to the charities. We can take control of our lives and l now while we are young. What I also love about the START community is that we all help each other. We are group of young people, across the globe, from different cultures and different walks of life, all supporting each other. We uphold a high standard of integrity. We care about helping our communities and giving back through initiatives like Make-A-Wish® and the START give back days. It’s just such a special and unique community that will be a legacy we can pass on to the next generation. I think it’s important to know that I’m a mum who builds Isagenix in the pockets of my time. So often I hear people say they are too busy, but the reality is the busier you are, the more you need this opportunity! Isagenix came into my life when I was a university student and I had no idea it would also support me through my first pregnancy and now as a mum to my amazing 2-year-old. Because of the success I have had with my business, I haven’t had to go back to a regular job full time so I can stay at home and enjoy time with my little girl. * This is the greatest blessing Isagenix has given me. I will forever be indebted. Isagenix is for life. It will support you as life changes and your goals change. I should also probably mention I’ve had the support of my amazing husband who has built this business alongside me! While we live in Australia, most of our team members are in New Zealand where we are from. We are team Kiwi all the way and love seeing Isagenix gain momentum over there! To meet more incredible people like Charlotte, follow our Instagram or join the START Facebook group! *Earning levels or income statements (including claims such as the ability to quit a job or stay at home or portrayals of luxury lifestyles) for the Isagenix Independent Associate discussed here exceeds the average results achieved by all Associates during the same time period, is not necessarily representative of the success or compensation that any particular Associate will receive, and should not be construed as typical or average. The ability to earn income under the Isagenix Compensation Plan depends on many factors including an individual Associate’s business, social, and sales skills; personal ambition and activity; availability of time and financial resources; and access to a large network of family, friends, and business contacts. Isagenix cannot and does not guarantee any particular level of earnings. Even Associates who dedicate a significant amount of time, effort, and personal funds may not achieve a meaningful level of success. For average earnings, refer to IsagenixEarnings.com.